It has been a totally hectic month! 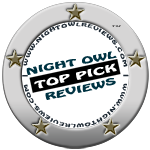 But today is the last day for nominations for my contemporary romance, Daydreams and Night Scenes. Every time I see the cover, I fall a little more in love with it. He’s so handsome and both models are so sensually pleasing to the eye. I do so enjoy all the beautiful covers on my books. I intend to revamp a few of them in the coming months, but first I need to finish Jack’s story for the Thunder Creek Ranch series while I wait on my answer from Amazon’s Kindle Scout team. I want to thank everyone for supporting me this month. Right now I’m sitting at 983 page views and 156 hours in Hot and Trending. Not too shabby. 🙂 I might just break one thousand before today is over. So thank you all very, very much. Have a happy and blessed Easter weekend And I’ll be back with you again next week. Kindle Scout…Only 3 days left to vote. It’s cold and snowing here in southern New Brunswick but Daydreams and Night Scenes is Hot and Trending on Kindle Scout. WooHoo!!! I haven’t seen that since the 5th day of my campaign and it’s all thanks to you…my followers, my readers, my supporters, my friends. I know you’re all probably tired of listening (reading) about my campaign on Kindle Scout, but it’s almost at an end. It’s been a wild ride, I can tell you. I’ve blogged, I’ve twittered, I’ve shared on Facebook, in groups, on Google+, Pinterest, and LinkedIn. I’ve had friends RT and share. I even ran a fiverr campaign through Bookkitty. To date, I’ve had 883 page views and I’m thankful for every one of you who took the time to read my chapter. It would be nice if all those views meant the same number of nominations, but I’m not that naive. I know my writing doesn’t appeal to everyone and that’s okay. I happen to write what I enjoy reading. Romance and romantic suspense, sometimes sweet, sometimes spicy–it works for me. The comments and support for my novel have been overwhelmingly complimentary. I couldn’t be happier. I may be a writer, but I’m also a reader. I have a 15 shelf bookcase filled with works by Nora Roberts, Danielle Steel, John Grisham, James Patterson, Mary Higgins-Clark, Sandra Brown, and many others. As to newer authors, I love London Saint James, Julie Miller, Delores Fossen, and several others. In addition to the print books, I have an ereader with over a thousand stories and my Kindle for PC has that many or more. Yes, I enjoy reading…Always have and always will. When I was younger and still in school, I spent my babysitting money on books. The Hardy Boys were my favorites back then. Sadly, I lost a whack of books in a house fire but I’ve since collected many more titles. My children, as they grew, never had a lack of books to read, from being babes in arms through their teenage years. I read to them daily and my oldest son is a Stephen King and John Grisham fan. The two younger boys are more into video games, but hey, they had to know how to read to play some of them. Now it’s my grandchildren who come to me to be read to or borrow books from. It’s a bond I share with them all and I am sincerely pleased. And surprise of surprises, my mother enjoys reading my books. She’s always been a great supporter of my writing so I’m not sure why I was surprised when she asked for the print ones…and insisted on paying for them, too. 🙂 The first one she read, His Christmas Wish, was nothing more than a printout from my computer, but she loved it. Then Zakia and the Cowboy…she read it in two days! And this is a woman who doesn’t read much. God, I love that woman. She’s always been there for me. I guess that’s all I have for you today. Happy reading and writing. Love you all! Please take a few minutes and pop over to Kindle Scout to read my chapter. If you like it, hit the ‘nominate me’ button. I really would like to win this publishing contract. Thanks to you, I already stand a good chance. Just click here. Kindle Scout Nominations for Killer Blues by Nese Ellyson! I just received some exciting news! I’m doing a happy dance…not for me, but for a fellow author. My friend and CP, Denise Frazier, just had her book accepted and uploaded on Kindle Scout. This is awesome! It’s huge! And if she gets enough votes, she’s offered a contract with them. Yay! Writing as Nese Ellyson, her novel of romantic suspense is titled Killer Blues. 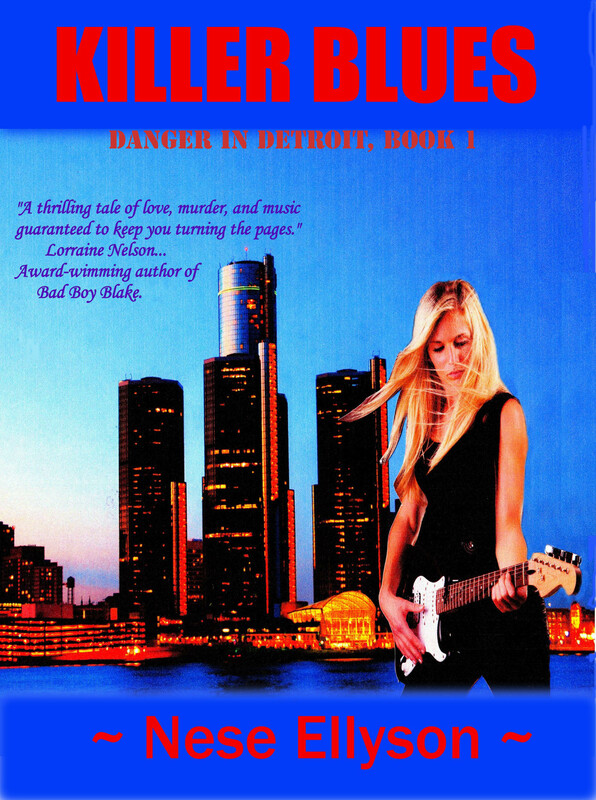 It’s the first book in her Danger in Detroit series and it’s a fantastic read. I so hope she wins. It would give her writing career such a boost.